Cubicles have long been the ubiquitous symbol of drab nine-to-five office life, but now the solitary gray workstations are being seen in a new light as open office floor plans receive increasingly negative press. With companies opting to seat clusters of employees at long tables in lieu of sequestered cubes, many workers are complaining of constant interruption and distraction, causing concern with managers over dips in productivity and overall employee satisfaction. Despite these frustrations, nearly 70% of offices have adopted open floor plans, according to an International Facility Management Association study. Why are employers so eager to remove the doors and knock down the walls between co-workers? Proponents claim that open offices foster collaboration and creativity between employees, as well as more effective communication between co-workers at all levels, since the CEO and more junior employees are likely only sitting a few feet from each other. So, is it time to reconsider the value of the private office format or do the pros outweigh the cons when it comes to open floor plans? As with most things, the layout you ultimately decide on depends on the size of the company, the work that is being done, and the people employed. However, open floor plans increasingly seem to be the way of the future and not merely the latest design trend, despite their detractors. Of course, it will be impossible to please everyone, but if you take a few strategic steps in planning your design, you can ensure that those who prefer to work in solitude and those who thrive off of interacting with their peers will all have opportunities to do so. Here are three examples of how to combine the best of both worlds to create an open work environment that will lead to success for even the most introverted and extroverted of employees. One of the biggest drawbacks of an open office is struggling with chatty neighbors when you’re trying to finish an assignment on time. You don't want to be seen as the grumpy co-worker who complains, and there has to be a more effective solution than buying pricey noise-canceling headphones to find focus. As the Harvard Business Review explains, the simple addition of a rug can mean the difference between an echo chamber and a quieter workplace. If you have the budget, you can invest in a drop ceiling, which absorbs sound and can also be transformed into a beautiful piece of modern design. And if your walls are bare, you can absorb sound by hanging large canvas prints and paintings, or heavy textile curtains if there are windows. With these additions, the more verbose employees are free to continue their dialogue, and others can work in a significantly more subdued space. A 2013 study at the University of Exeter showed that adding plants to the office can increase employee productivity and happiness by 15%. Psychology Today also reported that the color green itself can improve mood and cognitive performance, so you might consider incorporating the color in your furniture, wall color, or artwork. In an open workspace, where distractions have proven to lead to performance issues, including greenery can help to minimize those negative effects. 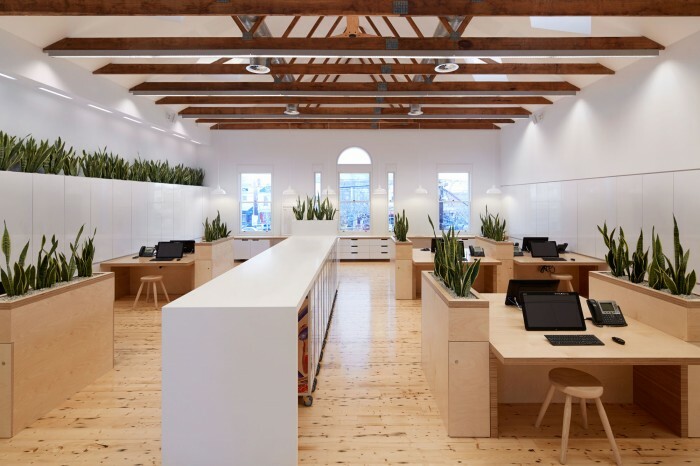 At Birkenstock Australia’s headquarters, two-desk clusters feature built-in plants in place of traditional separating screens to allow for some privacy with easy access to communicate with your neighbor. Birkenstock also boasts that the plants work as “air purifiers” to improve employee health. While noise-reducing office design tactics, privacy, and happiness-inducing plants can be significant improvements to traditional open office floor plans, at the end of the day, some employees are just going to want the flexibility to work away from their co-workers from time to time. 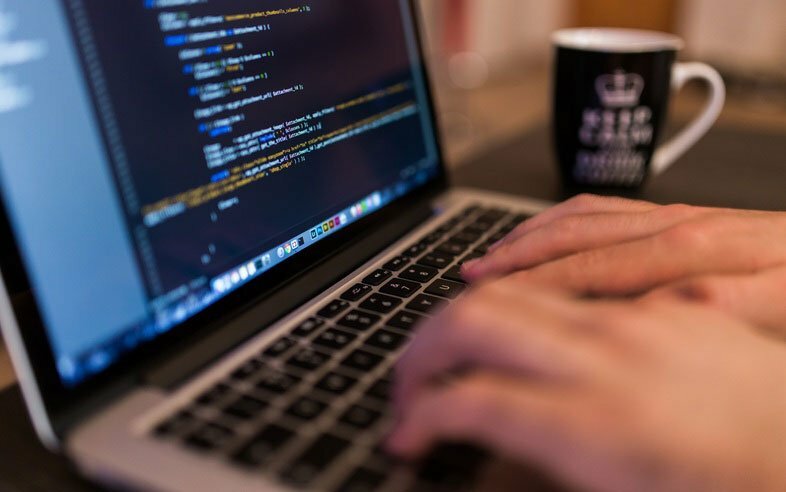 For these instances, it’s important to have ample closed office space available for smaller working sessions or solitary working opportunities. At the startup marketing company Groove in Baltimore, the CEO integrated a “library” into his office’s layout, which provided a “no-talking” zone for employees in need of a silent retreat. The main office area is a traditional open design, and by setting aside the library, employees are able to decide which area best suits their working needs. While a space as large as the one Groove has set aside might not be feasible for every company, it is possible to create a small quiet area in each open office to accommodate employees’ different styles and preferences. 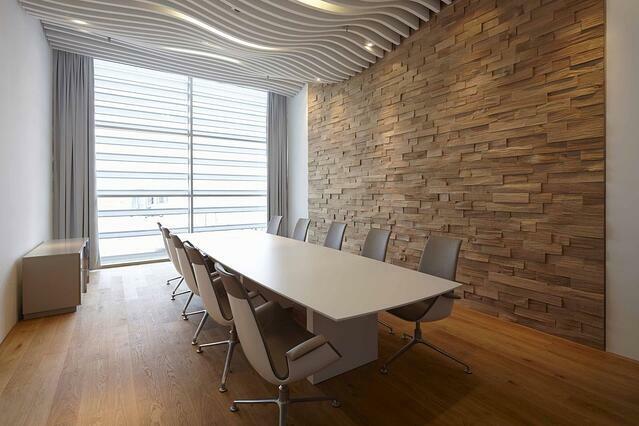 If you have sound bouncing off your bare walls, get in touch with us here. We've got you (and your walls) covered.